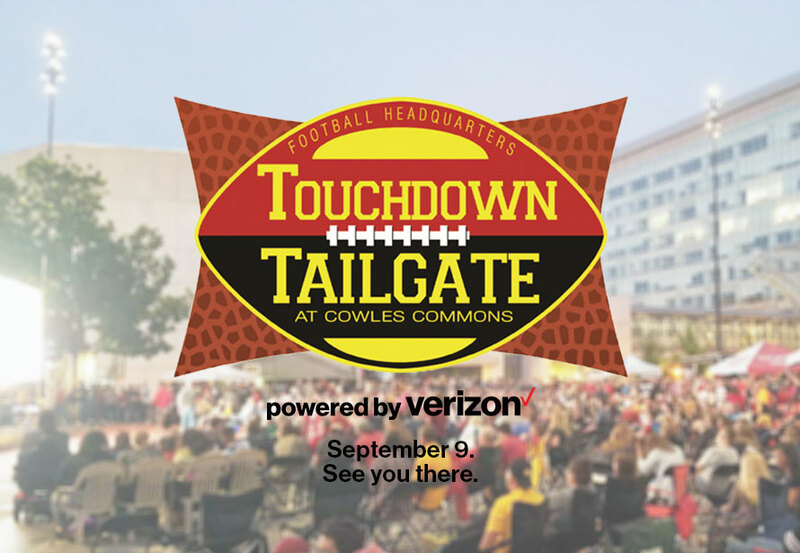 What: Touchdown Tailgate Powered by Verizon is proudly brought to you by Verizon and CellOnly – Verizon Authorized Retailer held at Cowles Commons in downtown Des Moines. Enjoy the interstate rivalry game at the biggest tailgate in Des Moines with no admission fee on a HUGE 40’x17′ LED video board! The second annual Touchdown Tailgate kicks off at 8am and continues throughout the day until 10pm. The event will feature food, beer, a bags tournament, and of course, football! When: Saturday, September 9 from 8am – 10pm. Who: Free Admission to All.